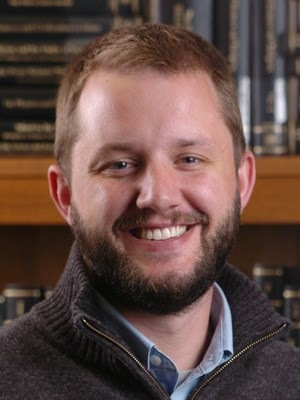 Matthew Kaemingk, M.Div., Ph.D., a 2003 Whitworth alum, recently founded the online journal, Christ & Cascadia, which focuses on Christianity in the Pacific Northwest. The collaborative journal draws material from over 15 contributors, including Whitworth Professor of Political Science Julia Stronks and Whitworth Professor of History Dale Soden. For more information on the journal, visit www.christandcascadia.com. Kaemingk, the editor-in-chief of Christ & Cascadia, most recently wrote the article, “Cascadian Culture: Grasping a Slippery Salmon,” in which he explores what makes the region of Cascadia’s culture distinct. The Cascadia region includes Oregon, Washington, British Columbia, and parts of Alaska, California, Idaho and Montana. As a Whitworth student, Kaemingk majored in political science and minored in peace studies, religion and sociology. He says he was greatly influenced by Whitworth professors from a variety of disciplines, including Stronks and Soden, as well as economics & business professor Jack Burns; and theology professors Jerry Sittser and Jim Edwards, and Dean of Spiritual Life Terry McGonigal (now the director of the Whitworth Office for Church Engagement). . He completed graduate work in theology, ethics and culture at Princeton Theological Seminary, Fuller Theological Seminary and Vrije Universiteit (Free University) Amsterdam. In addition to launching the online journal, Kaemingk is the executive director of the Fuller Institute for Theology and Northwest Culture, in Seattle. He has also published articles in journals and magazines including Comment, Fieldnotes and Evangelical Interfaith Dialogue. As a recipient of a 2011 Fulbright scholarship, he studied at Vrije Universiteit Amsterdam.